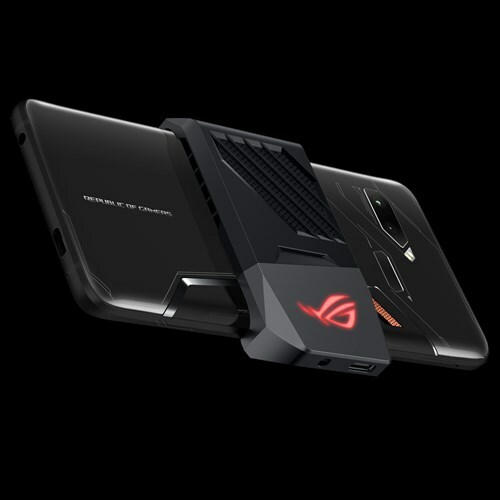 Here I was minding my own business when one of the active members of our Facebook Group (Big Time Show Community), Adrian Dmaxs, have just posted a potential leak on the price and launch of the highly anticipated Asus ROG Gaming Phone. In his post, and subsequent replies to my questions about the source of his information, he claims that a staff member at the Megamall Asus store (across LG) told him the price of the upcoming phone and it’s launch timeframe here in the Philippines. So what was this information and how much is it gonna cost? 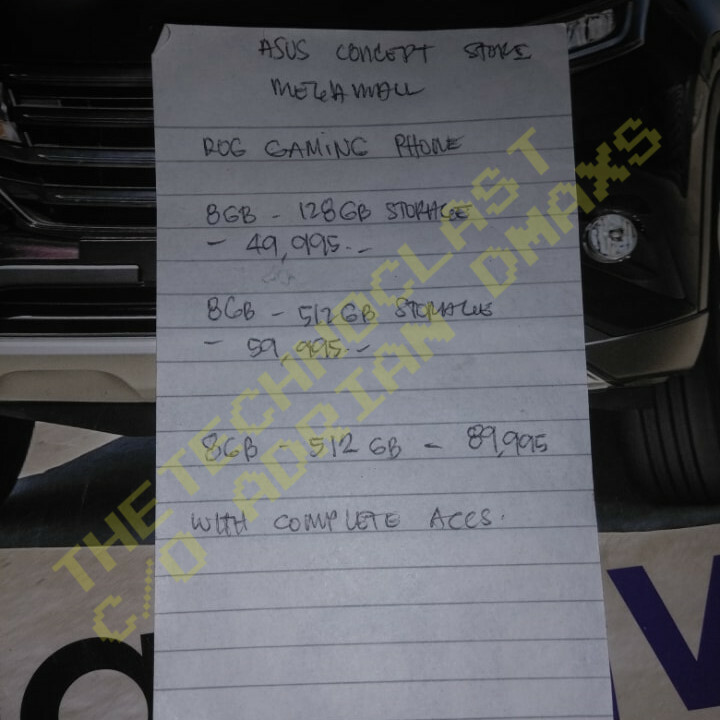 According to the leak, the 8GB / 128GB variant will cost PHP 49,995 (Est. US$ 1,000); 512GB variant at PHP 59,995. (Est. US$ 1,200); and lastly a fully stocked full gaming accessories edition for PHP 89,995 (Est. US$ 1,800). Well, we already expected as much, but to have a staff member at Asus confirm (allegedly) could be enough to convince anybody of the price. 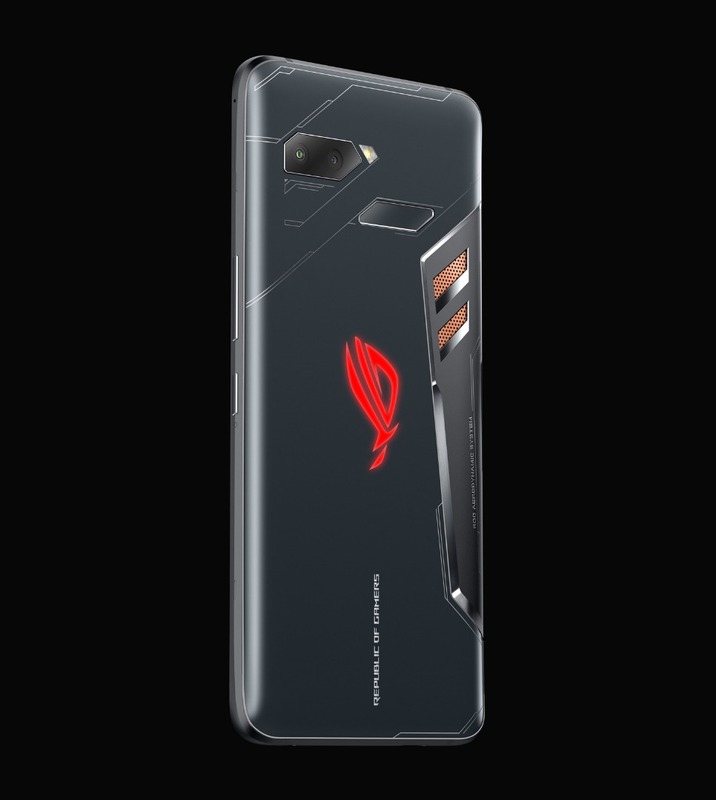 If you’re not familiar with the ROG phone, its pretty simple. Asus created a flagship device using an overclocked Snapdragon 845 with a unique copper cooling plate and fan accessory. Not just that, there’s a slew of gaming accessories that make the phone into a powerhouse device that will let users maximize it’s gaming potential. People have been excited for it since it was announced – including us – because we really think this is a gaming phone done right with virtually no compromises. What about the release date then? This doesn’t show up on the written pad but Dmaxs says he was told it’ll be out October or November this year – which is believable based on the schedule we’re expecting anyway. Dmaxs did say that the man he talked to claimed this was, “estimated price and unsure release date.” So that at least gives Asus and that employee some leeway of changing things if needed or denying that this is, in fact, the real price. People around the world have been very much waiting for this phone to launch and, despite the unofficial source, will at least give people a realistic and believable price and release date for the upcoming phone. Whether or not it’s true may not be important anymore, because everyday we see people desperately searching for info on this exact launch – and that means they will cling to any leak they can find. This being the latest one. Two things: First, the price and release date leaked above has neither been confirmed nor denied. So that leads it up in the air. Is the price quote real? Maybe, maybe not. But what’s interesting is the second part – that it will launch in the Philippines. Well, at least it’s confirmed: ROG Phone is coming to the Philippines. So what do you think? Did an Asus staff member spill the beans? Let us know what you think in the comments below or in our Facebook Group (Big Time Show Community)!